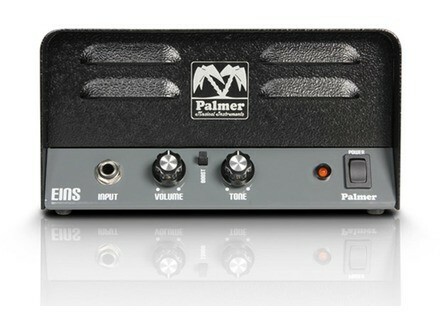 EINS, Tube Guitar Amp Head from Palmer. 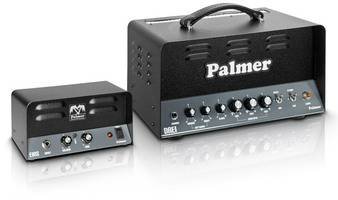 After Drei, Palmer launches a new 1W mini guitar tube amp head called Eins. The preamp is built around an ECC83; the power stage uses an ECC82 in single-ended operation. A solid state rectifier is designed to guarantee a wide dynamic range. 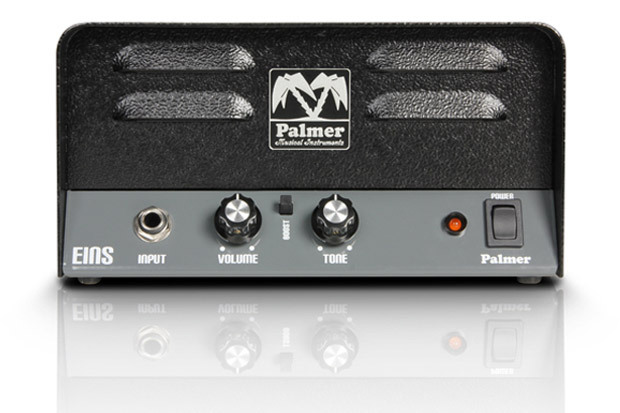 The only controls on the front panel of the amplifier between the input and the power switch/control light are the volume and and tone controls and a boost switch for boosting the gain. The rear panel holds two surprises in store in addition to the Euro power socket and 8- and 16-ohm speaker outputs. A speaker simulation output makes it possible to input the EINS into a mixing desk, sound card, etc. A built-in load box means it isn't necessary to connect speakers. The second surprise is the "high-impedance output". This makes it possible to connect the EINS to another amplifier or use it as a preamp with power amps. It can also be integrated in a pedal board and used via looper as an overdrive/distortion effect. EMG 57 & 66 Pickups EMG has announced new Alnico V humbuckers. Indy Custom Guitars Mossy Oak MO-T1 Indy Custom releases the MO-T1 “T” style Electric Guitar.